A few years ago, we wrote a study exploring the ecological role of sharks on coral reefs. At the time, many studies had alluded to how overfishing sharks could drive trophic cascades on coral reefs, but the empirical evidence to support this was surprisingly weak. One of the main problems in testing this theory is finding a place with sufficiently intact shark populations. 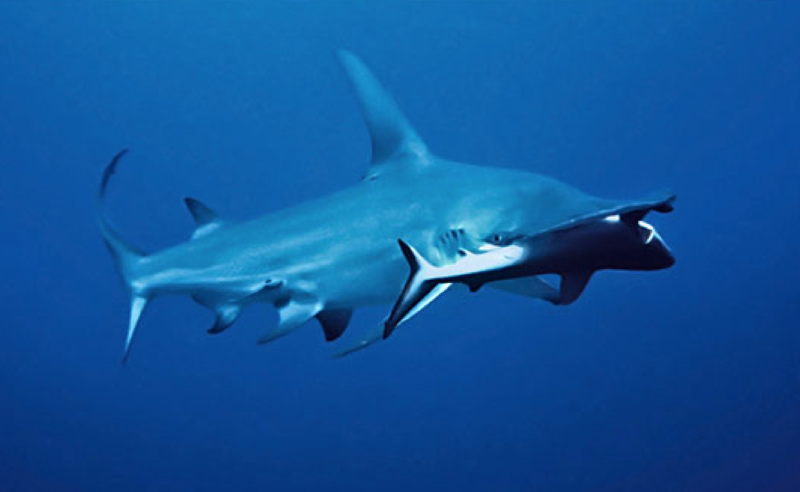 While remote atolls in the central Pacific still support large populations of small to mid-sized reef sharks, few modern studies report the presence of large apex sharks such as hammerhead sharks or tiger sharks. Given their widespread movement patterns across coastal and oceanic ecosystems, apex sharks are vulnerable to long-line fisheries, and have undergone widespread depletion over the past decades. While anecdotal observations hint that these large sharks may play important ecological roles at the top of the food chain, very few data exists as to the past abundance of apex sharks in either coral reef ecosystems or tropical regions. At that time of writing our paper, we were unaware as to the existence of a unique dataset on coastal shark catch from Queensland (eastern Australia). Using a series of baited drumlines and nets set adjacent to popular tourist beaches, the Queensland Shark Control program targets large sharks with an aim of making beaches safer for bathers. The program has been operating since 1962, and has since expanded along nearly ~1800km of coastline. Independent contractors have recorded the size and species of shark caught in the program, providing a unique fisheries independent record of shark catch spanning over half a century. Our initial analysis of the dataset was striking, and our published study in Communications Biology points to substantial declines in the abundance and size of apex sharks over the past half century. However, reconstructing such historical datasets is not without challenges. First, although detailed catch records were available, there was some degree of uncertainty in the accuracy of effort records in the early years of the program. One concern was that changes in how nets were set or how drumlines were baited may makes analysis of long-term trends problematic. While some degree of uncertainty will always remain with historical data, our analysis of temporal trends in bycatch revealed no clear evidence of changes in effort in the early years of the programme coinciding with declines in shark catches. Further, declines were spatially consistent along nearly 1800 km of coastline. 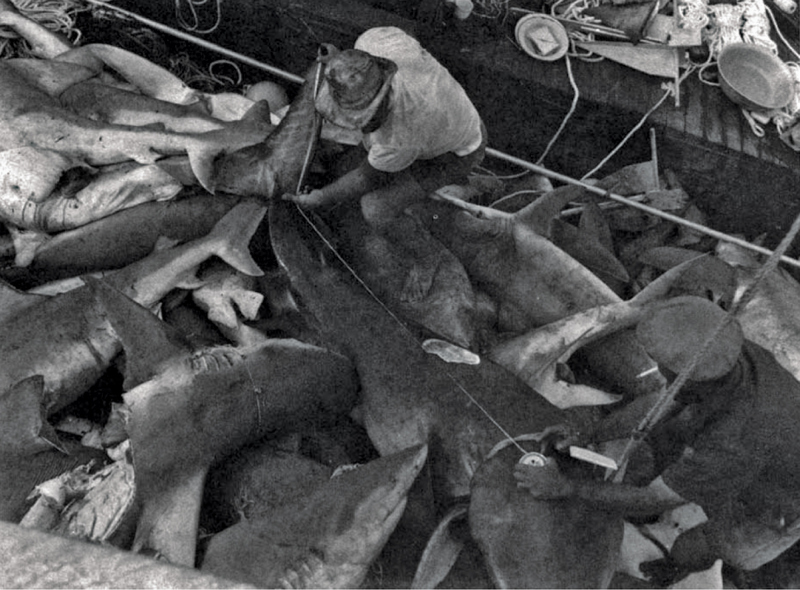 Second, changes in shark catch over the years had frequently been interpreted as “local declines”. This was hard to reconcile with the highly migratory nature of large apex sharks, which undergo widespread movements along the coastlines and with occasional movements across continents. By compiling published records of satellite tracking of sharks in the region and exploring changes in the initial catch rates of sharks at beaches where new gear was installed, our results pointed not to local declines, but instead towards a pattern of regional depletion over the past half century. While we will never know the exact numbers of sharks in our coastal waters in the past, our analysis points to an altered ecosystem with fewer numbers of large apex sharks. 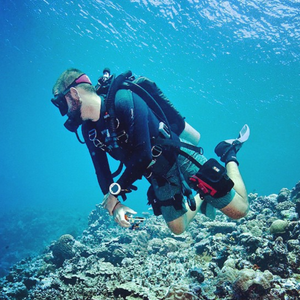 Our study focused on coastal ecosystems and not coral reefs per se, yet the widespread movement of apex sharks among adjacent ecosystems hints at a past where apex sharks may have exerted a much stronger presence on coral reefs.